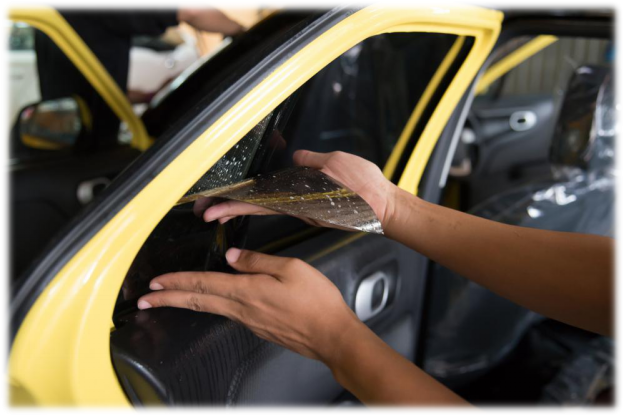 If your car window tint needs to be changed or replaced, it may start bubbling or develops different color altogether. It isn’t rocket science to know when you need to remove the tint off your car windows. You should know the signs when to get rid of it and you must be knowledgeable of the steps to remove the tint. One of the most convenient and easiest ways to remove tint off your car windows is by using a steamer. The best thing is that you would not need to purchase any remover or some essentials since steamer is actually a common item in every household. See to it that the steamer works effectively and it’s a fabric one. When using steamer, fill it with water. Then, turn it on and apply to the window tints. It will then start emitting steam. It’s a matter of several minutes and the tint film will start melting. You may peel it off directly. Never forget to use goof off spray to remove residues afterwards. Begin by coating your car windows with soapy water using sponge. When done, cover the surface with newspaper. Let papers settle in for several minutes. If you think that the paper is drying, consider reapplying the detergent again. You should use a razor blade to remove the tint. You will have to apply the blade in long strokes on the paper. After that, you’ll notice that along with the newspapers that the tint will come off. It’s as simple as that. To begin with, you will need to do this technique on bright sunny day. Begin with cutting through the 2 garbage bags in a certain shape that might fit on the window. Then, apply the coat of the soapy water on your car windows and stick the cut garbage bags on it. Before you proceed, you can cover every part near the car windows with waterproof cover. You should not also forget to wear your face mask when doing this. Spray the ammonia on the surface of your car windows where garbage bag lies and while it’s wet, sandwich the coat of ammonia with another garbage bag on its top. Leave your car parked under the sun and you will be able to peel off your car window tint quickly. You should also remove the residues with fine steel wool. Those are just some of the simple ways to remove tint off your car windows. It is recommended to follow the steps properly to avoid cracks or scratches. 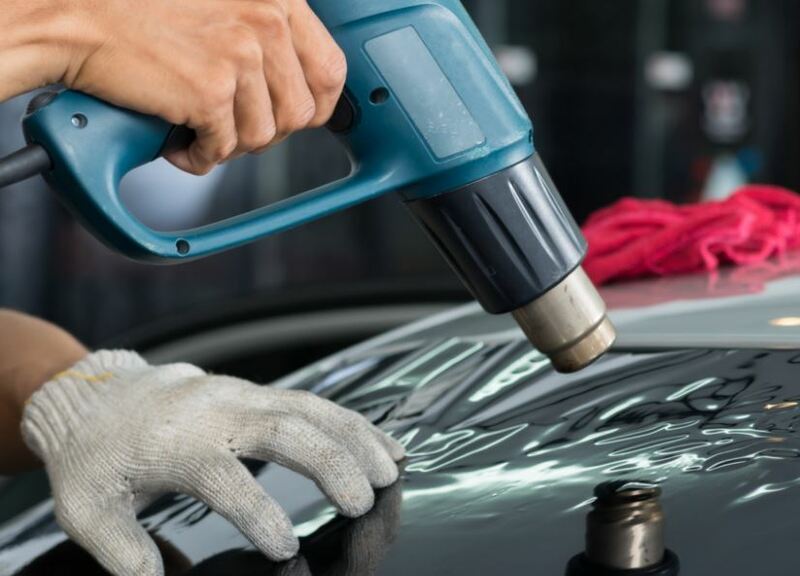 If you think it’s a bit tricky or challenging to do tint removal on your own, it would be best to hire a professional to help you. 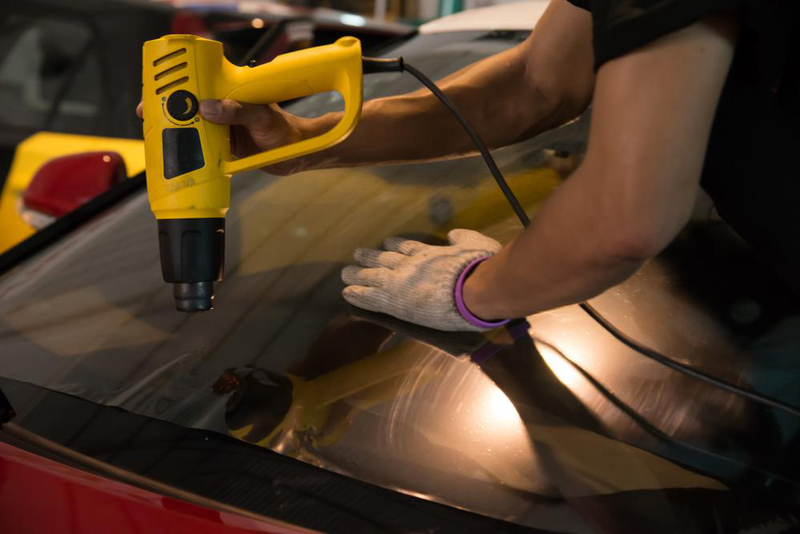 Professionals can get rid of your car window tint without leaving any damages on your car windows, enabling you to maintain its quality and value. Despite the fact that there is plenty of information available online about the benefits that car window tint provides, there are many misconceptions and myths floating around and creating confusions among car owners. While there is no denying the fact that tinted windows make your car looks cool, it is an added advantage that comes with a lot more practical benefits. Good quality car tint can block out more than 90% of the harmful UV rays that can damage your skin as well as cause your car’s interior to fade quickly. Car tints also reduce the burden on your car’s AC, which will ultimately improve the fuel economy, by blocking out around 50% of the sunlight. This is an over simplified statement. Although there are certain restrictions regarding the type, color, and darkness of the tint in some states, it is not entirely illegal. The rules regarding car tint vary across states. Some states do not allow shaded tints on the front windshield, while others require that there should be a certain percentage of visible light transmission. For example, according to car tinting laws in Arizona, you cannot get your car windows tinted in red color and the front side window should have more than 33% visible light transmission. Unless you have tried DIYing tint film installation or have a very a poor quality tint, car window tinting is only going to increase the value of your car. Want to know how? Apart from the fact that your car’s aesthetic appeal will be higher, car tints will keep its interior protected from sun damage and this will definitely increase your car’s resale value. In view of all the benefits that car window tinting provides, in addition to improving its appearance, it can be said that it is worth spending money on. So, don’t fall prey to rumors and take your car to an expert of car window tinting in Chandler, AZ as soon as possible. Wondering what’s the best place to get your car windows tinting in Chandler, AZ? Car Tint Pro is your best bet! Despite the fact that there is plenty of information available online about the benefits that car window tint provides, there are many misconceptions and myths floating around and creating confusions among car owners. The article is dedicated to dispelling some prevalent car window tinting myths and misconceptions. ​Which one looks sleeker – a car with tinted windows or the one without it? The first one – without any doubt! While it was once considered an indication of VIP personnel, car window tinting has now become a popular choice of car owners, all over the world. There is something magical about the thin, black colored film that instantly elevates the look of your car and makes it look stylish and classy. Although many people get their car windows tinted just to enhance the aesthetic beauty of their car, it offers many functional benefits as well. This is why anyone who has it set up on its car never wants to go back to regular windows again. Still not sure if you should consider car window tinting in Chandler, AZ? 1. It Reduces Exposure to UV RaysWe all know how harmful UV rays can be. Not only can they cause sunburn, wrinkles and premature aging, but they also increase the risk for skin cancer. UVB radiations have also found to suppress or weaken the immune system. Tinting can protect you from the harmful effects of sun rays by creating a protective barrier between you and the sun. It is known to block out around 99% of UVA and UVB rays. 2. Reduces Interior HeatWhen exposed to sun, the interior of the car can get really hot – more than the outside temperature. For example, the temperature in a car can rise to 130 to 172 degrees when it is between 80 to 100 degrees outside. Car window tinting keeps your car cool by reducing up to 70% of interior heat. This not only means increased comfort, but also a decrease in gas consumption as you won’t be using AC all the time. 3. Increased SafetyTinting also increases the safety of the driver by reducing the glare. When sunlight strikes something, it reflects off and impairs visibility. This could be really dangerous when you are on the road - sun glare is the cause of many accidents. While tinted windscreens protect you from sun glare, tinted windows reduce the risk of injuries during accidents. Many a times, drivers suffer injuries because of the shards of window glass – car window glass usually breaks into hundreds of thousands of small pieces. Tint film greatly reduces this risk by holding the window glass together, in case of an accident. These are some of the benefits of car tint that cannot be ignored. Get your car windows tinted today to increase your and your vehicle’s protection. Whether you are a car lover who thinks life is too short to drive boring cars or you want to enjoy the functional benefits of car window tinting, get in touch with Car Tint Pro to get the best quality car tint. Can Car Window Tinting Actually Save You from Theft? Many times, people don't usually enjoy or like what is good for them. For example, green vegetables are good for health, and yet people prefer the taste of fast foods. However, a car with tinted windows is something that not only looks good, but feels good too. Tinted windows make your car appear cool and trendy, and they keep your car’s interior temperature in control. 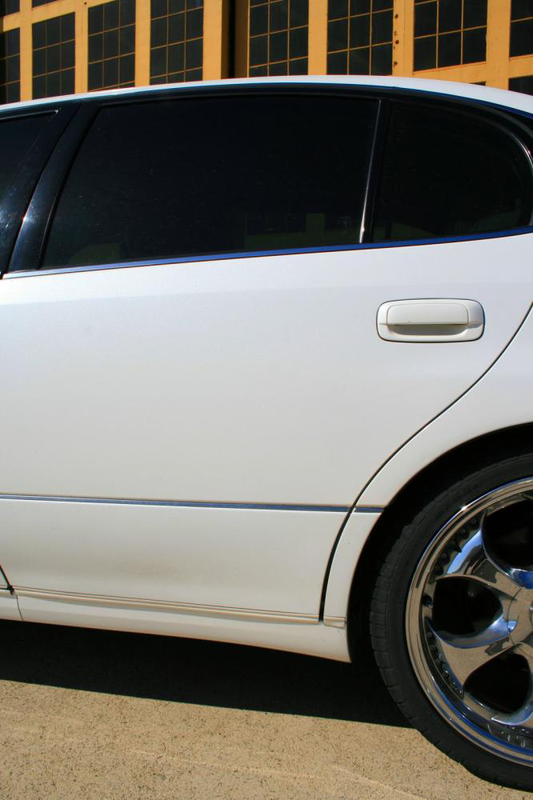 In the hot days of summer, car window tinting in Mesa, AZ can actually keep the inside of your car pleasant and cooler. Moreover, hot days are sunny, and sunlight is harmful for your seat covers. If you want to save some bucks and do not want to change your car seat covers, then car window tinting in Mesa, AZ is the best way to move forward. Sometimes when your car is parked alongside a road, the items in your car such as your laptop bag or your suitcase may attract thieves. Thus, every time you leave your car outside to do some work, you expose yourself to theft and burglary. Someone can break into your car and steal your precious belongings. Hence it is better if you get the services of car window tinting in Mesa, AZ to safeguard your against theft. Some benefits of tinting your car's window include the following. When your car's windows will be tinted, thieves will not be able to take a look inside the car. When thieves will not be able to see inside the car, they won't be attracted to your car and instead go towards car without window tinting. Thieves are unlikely to smash car windows when they cannot see the items that are inside the car. Burglars have to be really quick and stealthy especially when they are out on the road. As a result, they won’t have the time to look carefully inside your car and try to steal it. Car window tinting in Mesa, AZ goes a long way in keeping your car safe from thefts and burglaries. . Contact Car Tint Pro to avail car window tinting in Mesa, AZ for your car. Do you know that by spending a few bucks on tinting your windows, you can save all your precious belongings from being stolen from your car? Burglars are attracted to what they see, so if you want to save your car from theft and burglary, have your car windows tinted in Mesa, AZ by hiring Car Tint Pro.